There’s a lot of reasons a person might buy a drone. Maybe they want to break into the exciting field of aerial photography and videography. Maybe they’re looking for an RC toy for their kids. But for a lot of us, drones have an undeniable “coolness factor” that makes them stand out from similar devices. They let us dip, dive, and dodge as though we ourselves could fly. That’s where stunt drones come in. No boring photography features or camera comparisons in this article – just the primal joys of mid-air tricks, flips, and rolls. Everyone has different needs and desires when it comes to the perfect stunt drone, so there’s no single option that’s better than the others in every circumstance. That’s why we’ve picked five of the finest stunt drones for sale for you to choose from. Get super fast and free shipping when you order the Blackhawk from AltairAerial.com, or you can also see Best Price at Amazon. What makes it a good stunt drone? First of all, the Blackhawk is very fast considering how heavy it is and considering how little it costs. It’s perfect for races or other speed-based endeavors. It also allows you to do 360 degree flips (also known as “barrel rolls”) with the push of a single button, which makes it very easy for beginners to pull off basic stunts. With a little bit of practice, you’ll be able to make the Blackhawk spin and dance just like the pros! 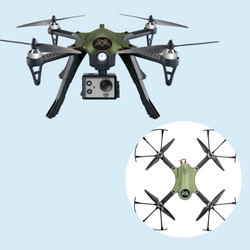 Unlike the Blackhawk, this mini drone can be flown indoors or outdoors thanks to its miniscule size. Beyond that, it’s a pretty barebones quadcopter with decent specs considering it only costs $25 USD. However, the X4 does have one special feature: a dedicated stunt mode. It can flip in multiple directions and you can chain the rolls together to perform a multiflip. 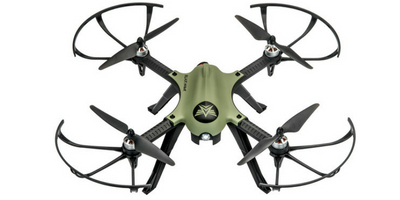 There’s lots of tutorials and YouTube videos available that’ll show you how to get the most out of this mode, so if you’re more interested in stunts than any other aspect of a quadcopter, the X4 is an excellent low-budget choice for a stunt drone for sale. 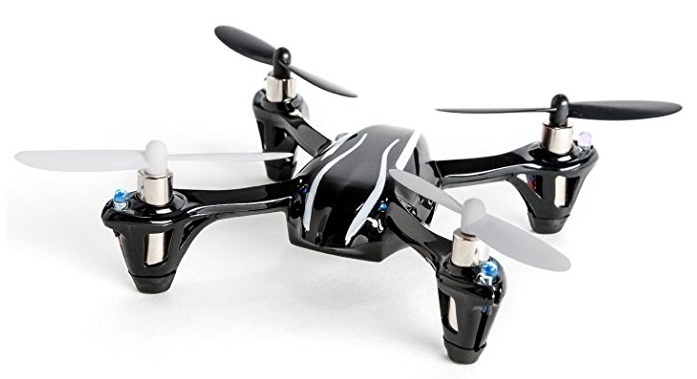 Many will dismiss this $30 drone as a “toy,” but that’s what stunt drones are all about! 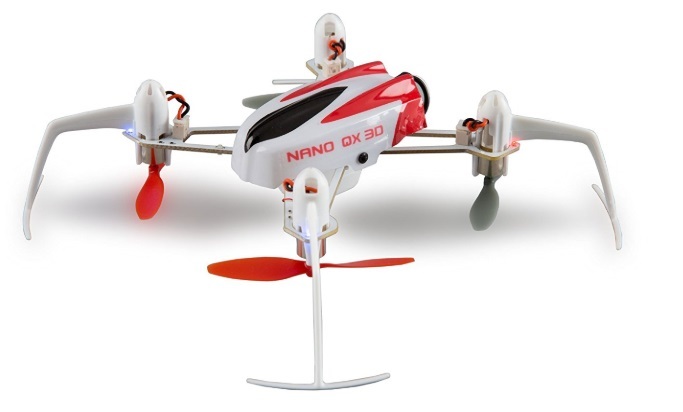 The Blade Nano QX 3D can fit in your hand and comes fully assembled with no building necessary. 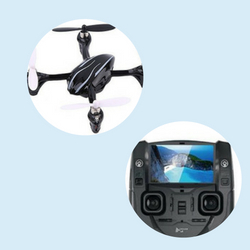 It has hobby-grade motors set in a lightweight frame and should be safe to fly indoors in almost all circumstances. But what really makes this drone special are the stunt features. You can fly it upside down and perform hairpin turns, 180 degree flips, or 360 degree rolls with only a few simple controls. It flies very well and is easy to maneuver because it’s built to be as agile as possible. If you’re a more advanced pilot, you can even turn on “expert mode” which disables the gyroscope and lets you push your piloting abilities to the limit. The downside is that the Nano QX only has about 4 minutes of battery life, but you’re still getting your money’s worth with this drone and then some. Sometimes if you want a top stunt drone you have to build it yourself. You might not be a fan of do-it-yourself drone kits, but there’s no denying that the fully built Sky Viper deserves deserves a place on this list. 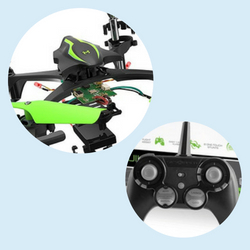 It can perform eight different stunts with a single button press (different buttons, obviously), has beginner-friendly features like auto takeoff and landing, and lets you adjust the sensitivity of your flight to perform manual tricks with ease. If it was a little more durable and had a little more flight time, it might be at the top of this list, but even as it stands the Sky Viper is definitely one of the best stunt drones for sale. 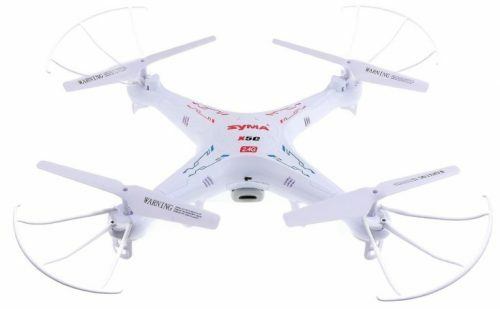 The Syma X5C-1 is another beginner-friendly stunt drone with HD camera that has a number of features which set it apart. Firstly, the body is made of plastic and the prop guards are very elastic, so if you have enough space you can fly this drone indoors without worrying about scuffing or damaging furniture or walls. Secondly, this drone has a very good built-in camera for its $90 asking price. 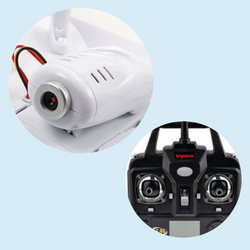 Thirdly: like the Hubsan, the Syma X5C-1 has features that are specifically designed for doing stunts, as it is quite fast and can be turned to 90 and 180 degree angles while still remaining stable thanks to a 6-axis gyro. The downside of all this stunt power is that the Syma only has about 6 minutes of battery life and takes nearly two hours to charge, but since the drone’s so cheap you can always spring for extra batteries if you think this is the stunt drone for you. It’s exactly what it sounds like – a drone that is designed at least in part to pull off tricks and stunts. The most common stunt that drones are capable of doing is a 360 degree flip or “barrel roll.” Some drones have started allowing you to perform this trick with the push of a single button! In general, you charge a stunt drone the same way you charge any other quadcopter. You take out the battery, plug it into the attached charger, and plug that into the wall (or, in some rare cases, a USB port. Some stunt drones require very little assembly, but some can require a lot more. Specific instructions for assembling a drone will be included in the manual of your specific product, but as a general rule assembly involves taking a screwdriver and screwing in propeller guards, propellers, and landing gear. Make sure you attach everything securely so that it doesn’t get knocked off in a crash or a strong wind, both of which are quite common in drone piloting. 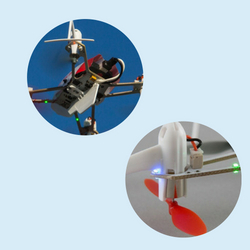 Most stunt drones are controlled with a radio transmitter that works similarly to a videogame controller. Usually, one analogue stick controls the direction of the drone (forward, backward, left, right) while the other controls its vertical position (up, down.) Some stunt drones have specific buttons for stunts, others expect you to pull of the stunts yourself using the sticks. Everyone has different drone needs and wants, so it’s impossible to pick a single one-size-fits-all “best stunt drone.” That’s why in this article we’ve selected five great choices – you can’t go wrong! We hope that in reading this article you’ve learned something about the best stunt drones for sale and that you feel like you can now make a better-informed purchasing decision for the future. But is there an awesome stunt drone that we missed? Is there a question we failed to answer? If so, be sure to let us know in the comments so that we can keep this article as up-to-date as possible with all the latest information.